That sounds kind of like a fancy name, it’s not a fancy recipe. I think many assume that seafood is difficult to cook, but it really isn’t. I’m not sure where this thought or stereotype was founded, but it’s a giant lie. In fact, cooking seafood is about the easiest meal idea I’ve found, unless it’s leftovers from the weekend. Honestly meat is just as “difficult” as seafood. Seriously, so little time required. 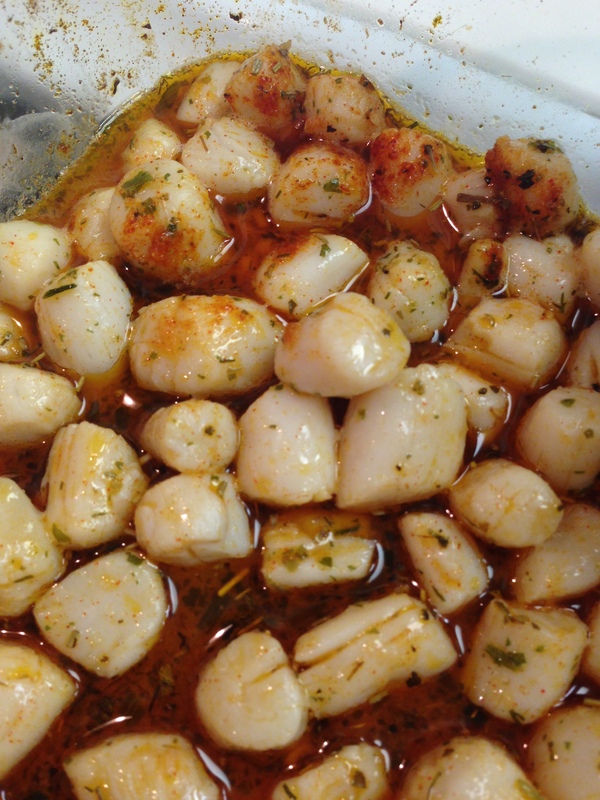 I bought some wild caught Mexican baby scallops a couple weeks ago, thawed them, and baked them. Took about 5 minutes! 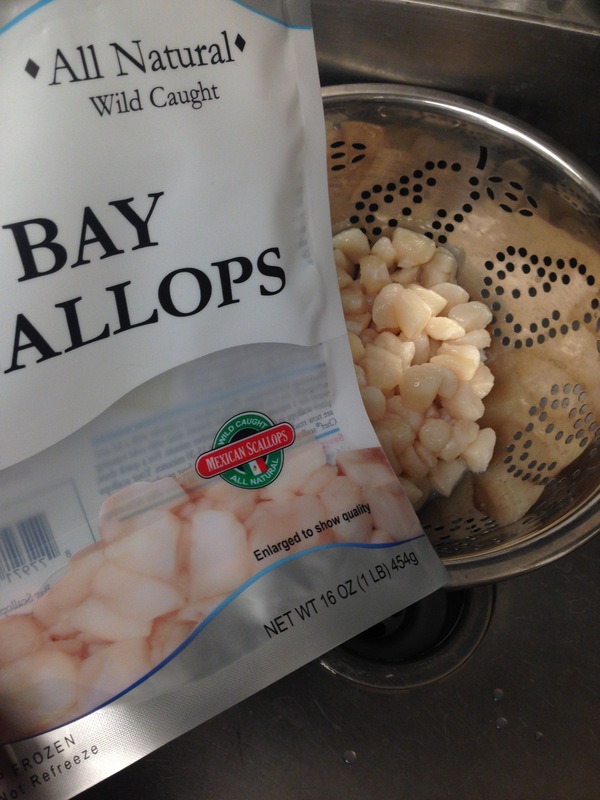 Pour the bag of scallops into a colander, rinse, then pat dry. Preheat oven to 350 degrees. 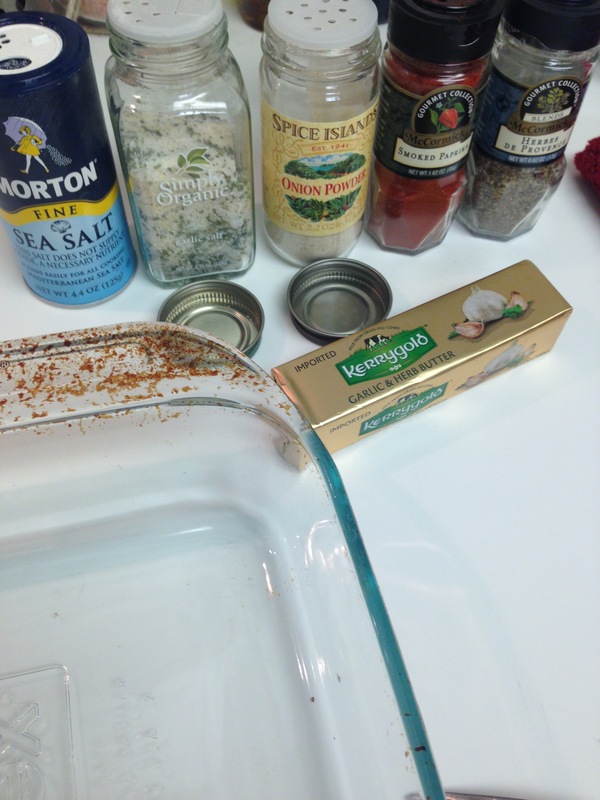 Once warm, take an 8×8 glass baking dish with half the stick of garlic herb butter and place it in the oven to warm the dish and melt the butter. 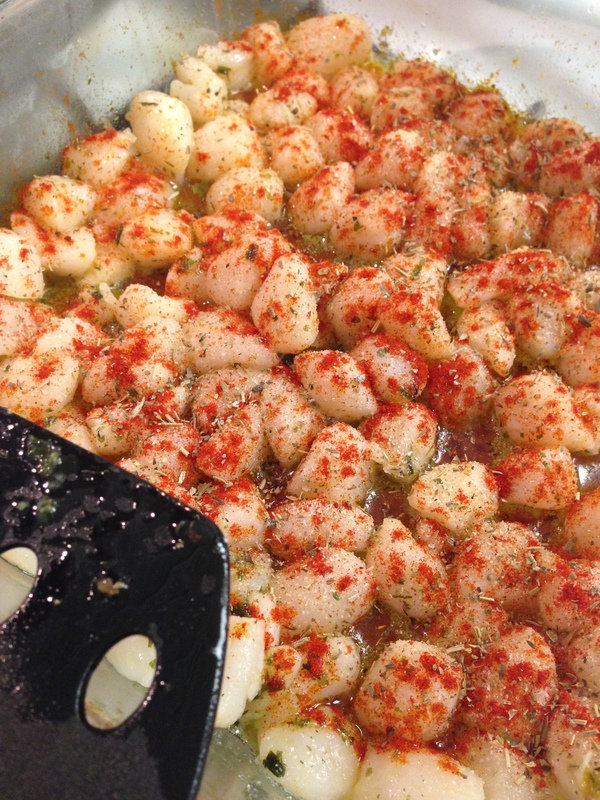 Once melted, take the dish out, add scallops, and sprinkle with all seasonings moderately, except for the smoked paprika. 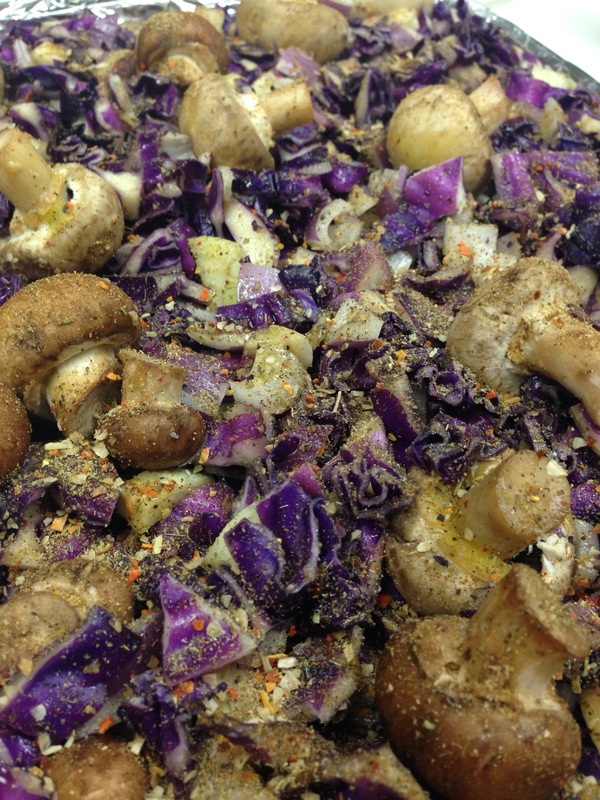 Place back in the oven and bake for about 5 minutes – tossing once at about the 3 minute mark. You’ll know if the scallops are over done, as they’re like chewy rubber. Feel free to taste test if you’re fearful, and if they melt in your mouth, they’re done. I paired the scallops with some roasted vegetables (mushrooms/purple cabbage/red onion/white onion) tossed in black truffle oil and Costoc’s organic salt free 21 seasoning (LOVE THAT STUFF).